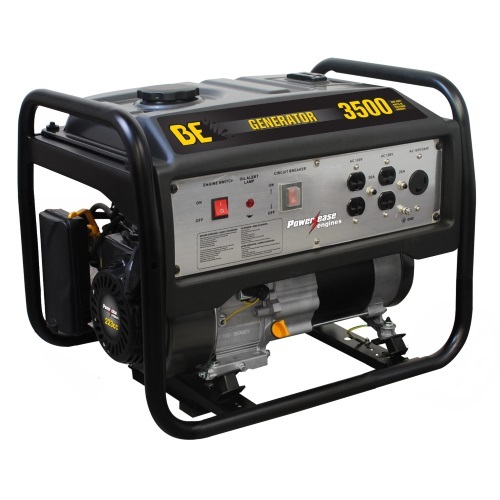 BE Pressure 3500 Watt Generator with 208cc Powerease Engine. 3500 Max AC Output with 2800 Max AC Continuous Output. Recoil start; low oil shutdown. Nine hour (full load) run time per tank. Automatic Voltage Regulator (AVR). 110lbs. Two-year limited manufacturer warranty. Free shipping means big savings! Learn more about BE Pressure 3500 Watt Generator with our BE3500PS Spec Sheet. © 2019 Pea Sheller, all rights reserved worldwide.